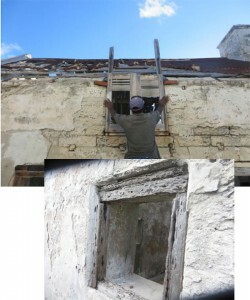 One of the most amazing efforts is the restoration of the original Bermuda kitchen. 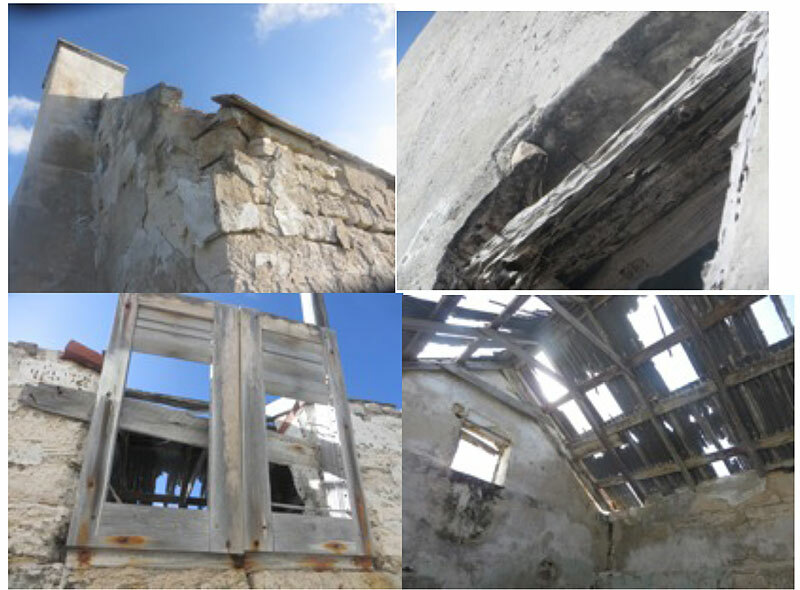 Planning for this work began in 2012 with two quotes, both however amounting to rebuilding not restoring the old building and research began to learn exactly how Bermuda kitchens had been constructed. 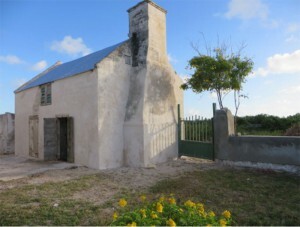 In October of 2014 Georgia Dunn arranged for Dr. Edward Harris, Executive Director of the National Museum of Bermuda and Drs. 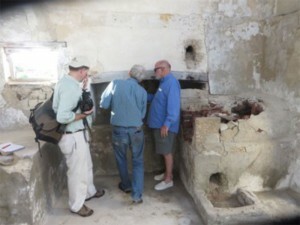 Jeffrey Klee and Ed Chappell of the Williamsburg Foundation to visit Salt Cay on behalf of the White House. 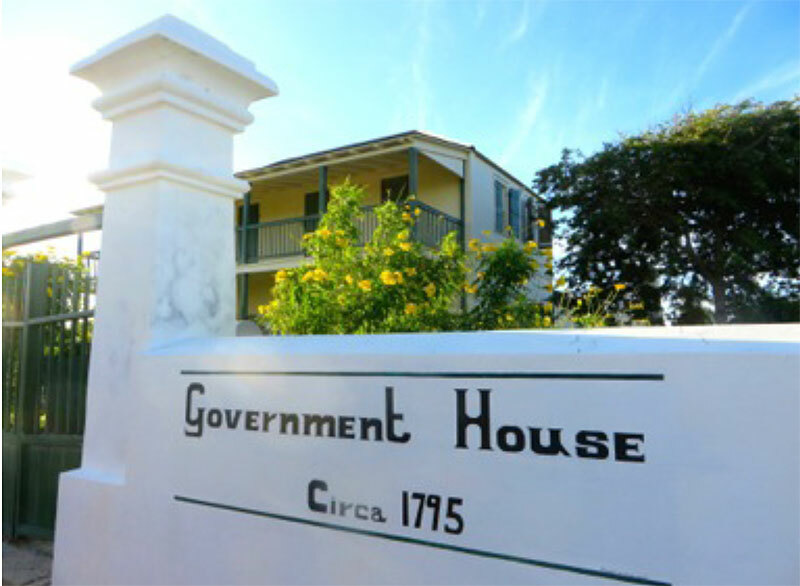 They agreed to expand their project and look at Government House. 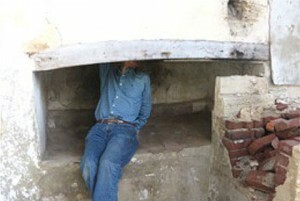 From them Candy Herwin learned exactly how to proceed with the restoration, and I authorized her to move ahead. 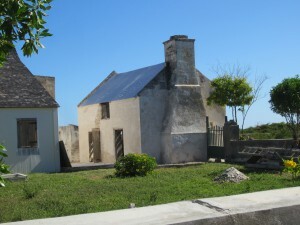 The building, now completely restored and furnished by her as a living history museum, is exquisite and a national treasure. I simply cannot thank Candy enough for the endless hours and wonderful historical research she expended on behalf of this project and others at Government House. 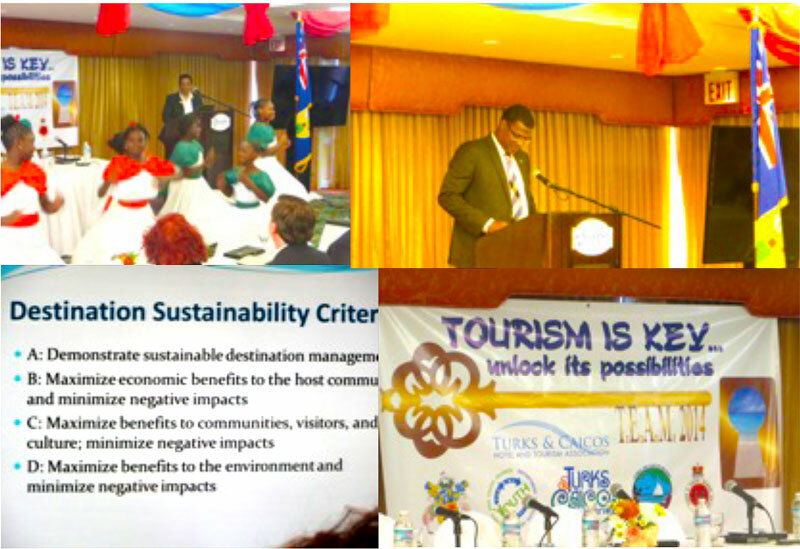 At the Tourist Symposium held at Beaches in November 2014 there was a strong emphasis by Premier Rufus Ewing, participating teams and Organizations to strengthen tourism in the family islands and an emphasize on preserving the rich history and culture of the Turks and Caicos. 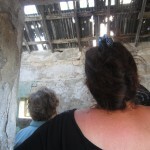 The future trend in tourism is toward the more culturally aware visitors from around the world. 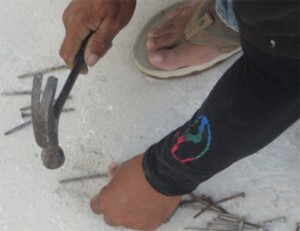 I was invited to participate at this landmark event to present . 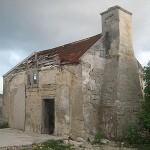 Ms Helen Krieble as President of the Turks and Caicos Preservation Foundation was eager to continue her quest for a living museum on Salt Cay and felt it urgent to restore the Bermudian Kitchen before its collapse into rubble. 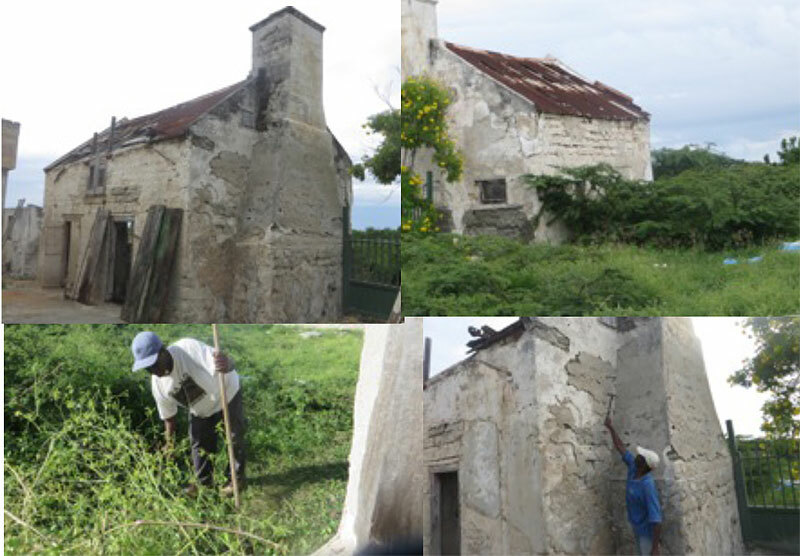 Helen in partnership with the National Trust were already restoring the Government House but funding as always was critical to any further restorations. A team of historic architects led by Dr Harris from the Bermuda Museum study the old ovens and examine the age,structure and possible social history of this National Heritage. 1) The first order of the day was to clear the inside of the kitchen and to remove all the debris. 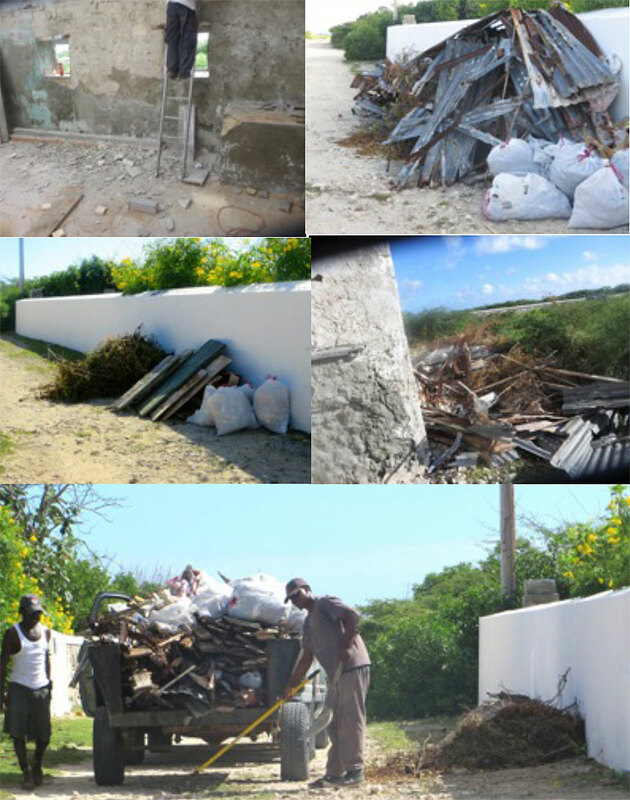 2) To facilitate this work it was important to create a clean environment and therefore we decided to chop all the acacia from around the building so that we could bring in the scaffold necessary for the restoration…. 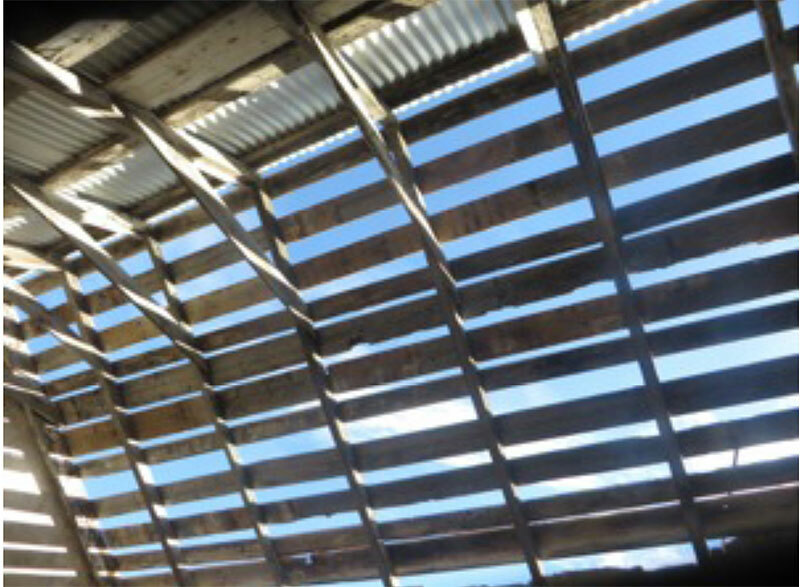 Kindly loaned by Olympic Construction. 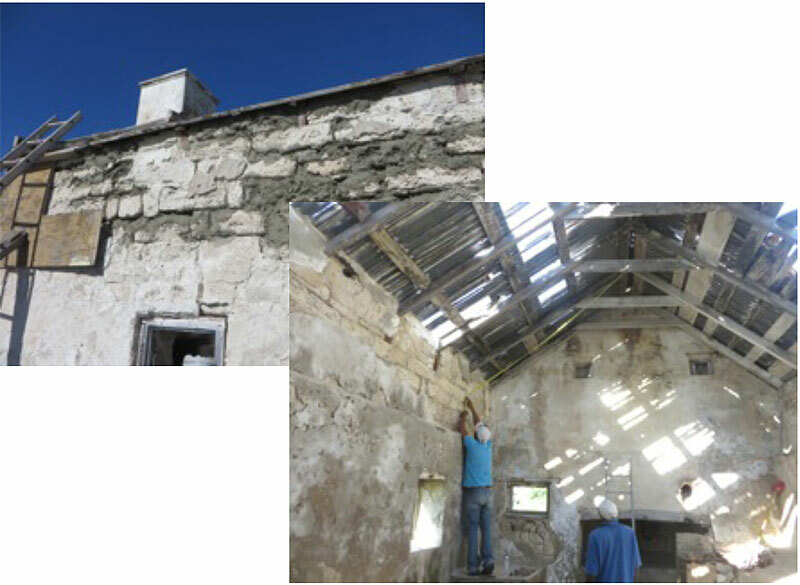 3) The walls were in pretty bad shape and before tackling the roof it was necessary to preserve the integrity and strength of the structure. 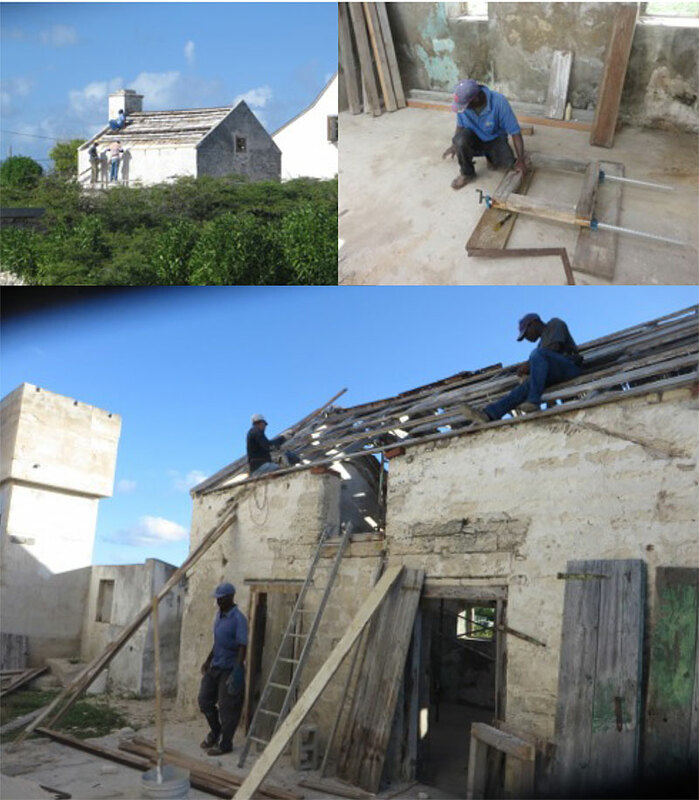 4) Some of the cedar planks (to be used to ‘ sister’ or pair with the existing weak original rafters were measured and cut on the Brown House premises and carried by golf cart to the Bermudian Kitchen in readiness to strengthen the beams and rafters on the roof. 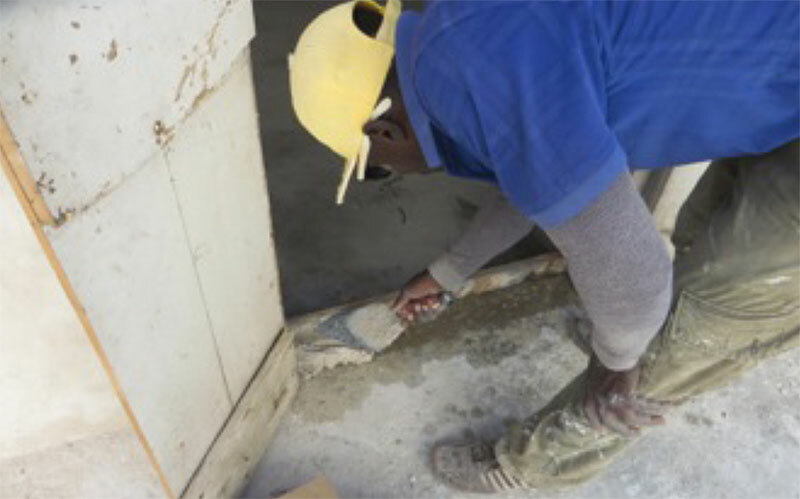 5) One of the first tasks was to secure the integrity of the walls and replace the wood above doors..we used cement with a mix of white cement and lime and secured bricks inside and out . 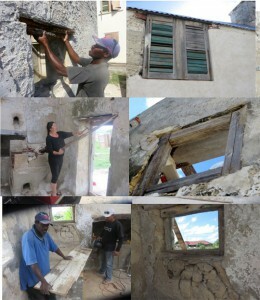 6) We removed the termite ridden window frames and made new ones from old wood and without using screws we pegged them together and strengthened with wood glue only. 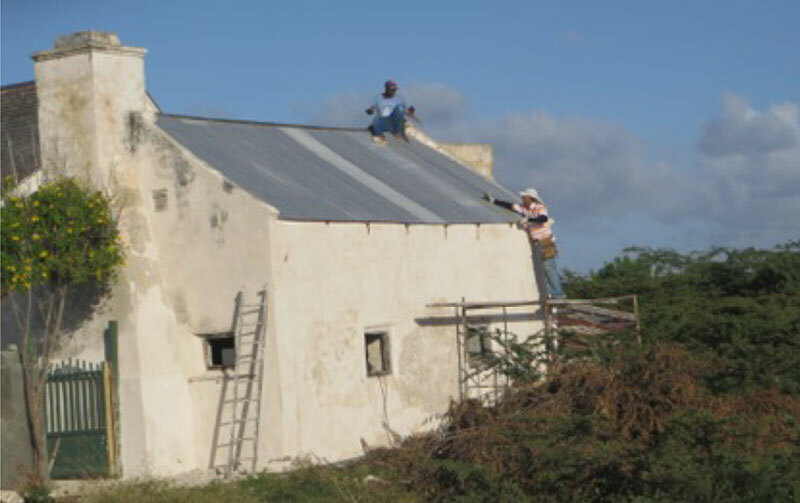 7) After a couple of trips to Grand Turk to buy zinc and more cement and lime we continued to pull down the roof and commence work on the North side, since we had completed the framing and strengthening of walls. 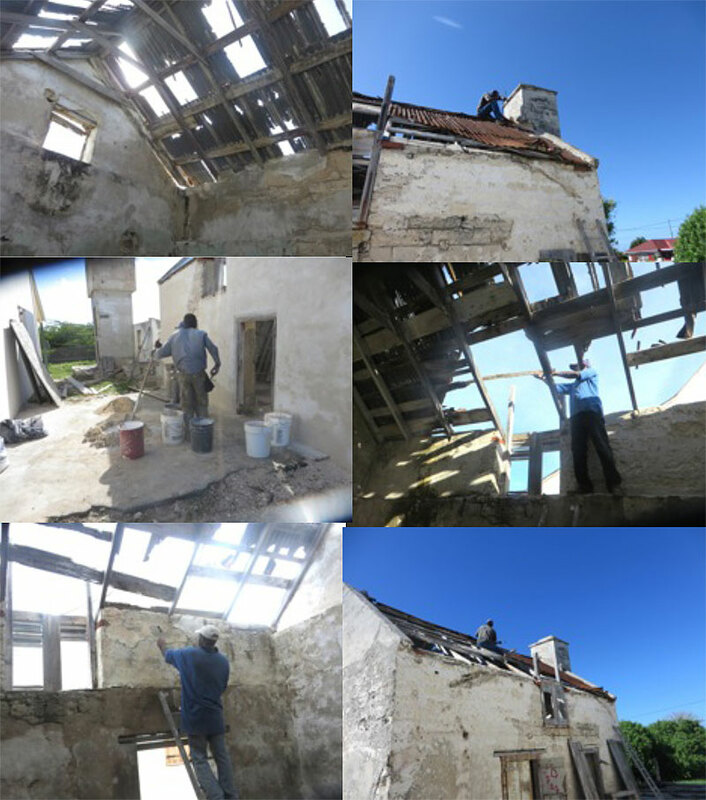 8) Filling in the jigsaw of original wood and searching for old wood in abandoned houses. 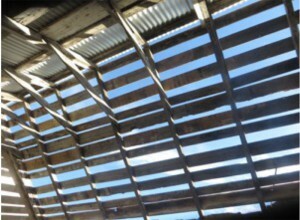 11) Reusing some of the older nails that were previously used and the original hinges on the doors . 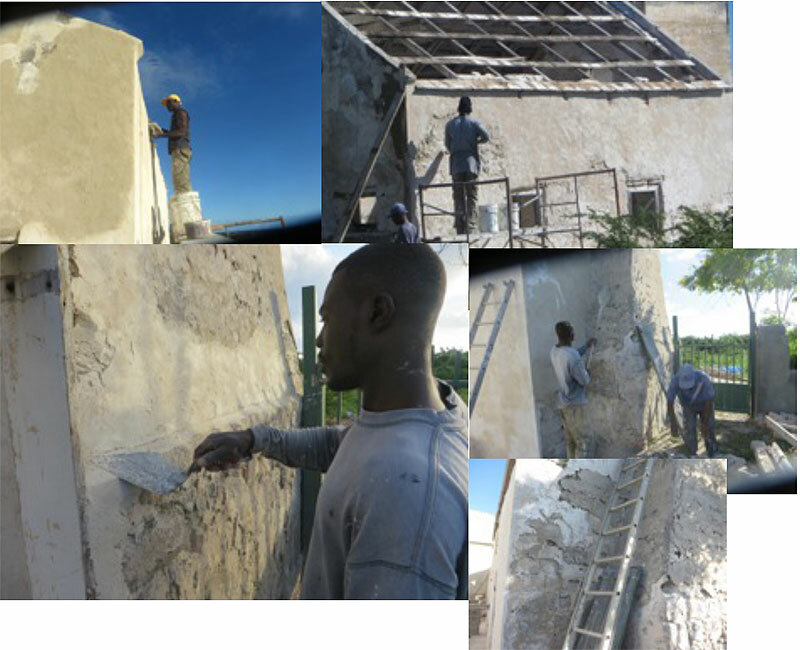 13) Meanwhile to make the entrance attractive from the outside we decided to let the public know that there was a beautiful National Trust restoration under way with the Government House and the approximate year that it was first built. 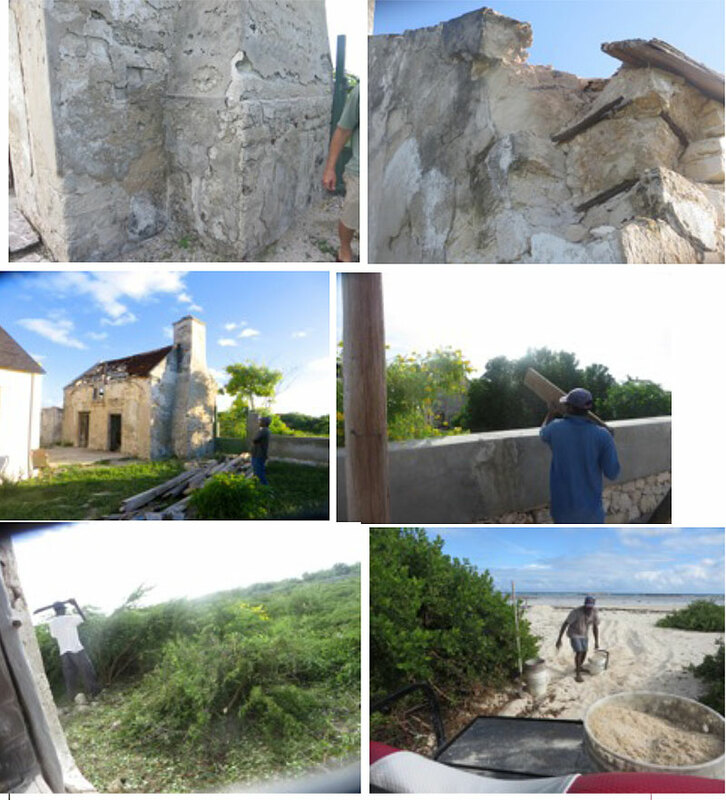 We also limed the magnificent gates and chopped the tree from the perimeter which were pushing against the Government House walls. 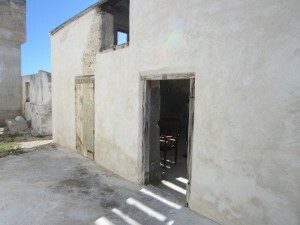 This gave me an opportunity to teach Charles who has an excellent eye and straight hand the art of calligraphy following in the footsteps of the signs across Salt Cay to give tourists and visitors a sense of the rich history of Salt Cay. 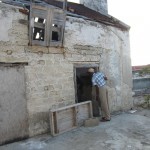 16) Our next project was to secure shutters but we needed to find the right hinges. 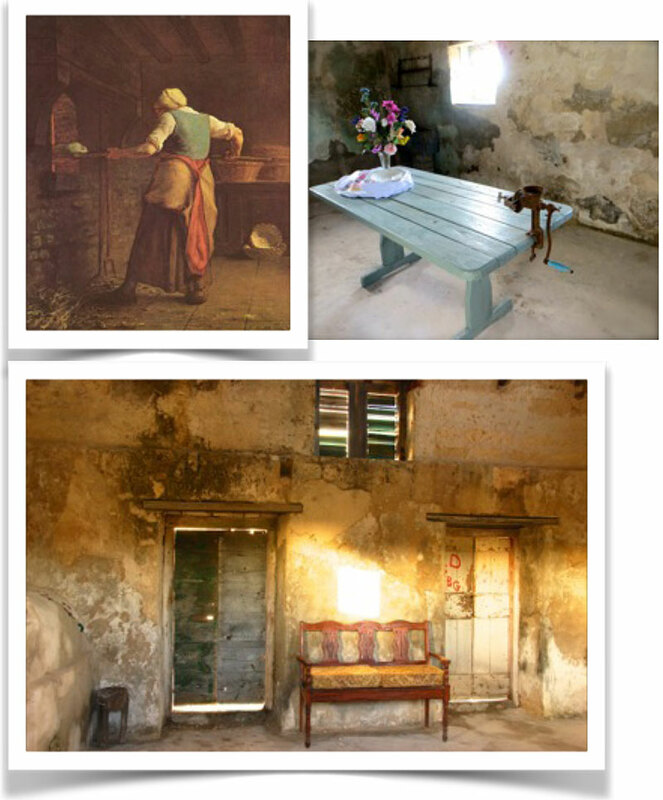 meanwhile all the artifacts that we were collecting representing the colorful life of a Bermudian Kitchen were positioned in place ready for a photo shoot.